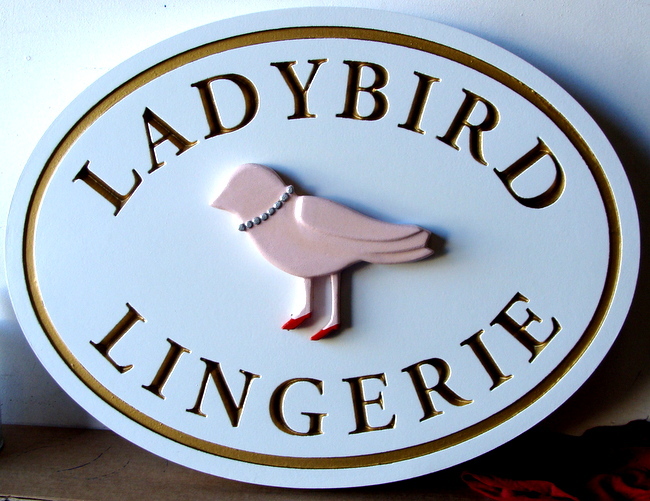 Above is a carved, HDU sign for a lingerie store. The sign features the 2.5D carved (raised, flat) image of a bird (ladybird), and engraved text and borders. After painting with bright long-lasting automotive-type enamels, this plaque is clear-coated twice, ready for indoor or outdoor use.